WinsHosting Review 2019: Is WinsHosting a Good Hosting? For exceptionally good value for money and hosting packages that are rich in features and support services within India and Europe, WinsHosting is an almost unrivalled option. Choose from a massive variety of shared web and VPS packages as well as configurable dedicated server options to suit your requirements and budget. 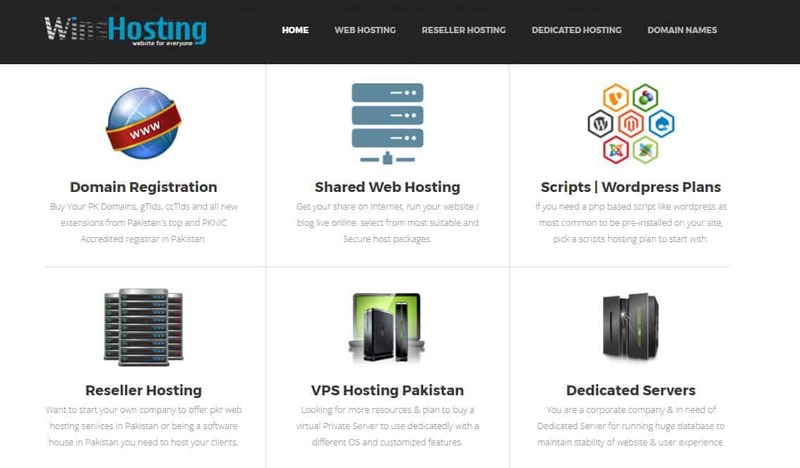 WinsHosting is a Lahore, Pakistan-based hosting company that’s been providing a range of high-quality hosting products since 2003. Their impressive offering now includes a wide range of shared web hosting, VPS hosting, dedicated server, and reseller hosting packages as well as CMS-specific options and an array of other professional, hosting-related services. Their reach spans beyond the Indian subcontinent with facilities as far as the Netherlands. Their chief language of operation is English. Their shared hosting products have almost too many features to cover. They support basically any scripting language from PHP to ASP.NET. Power Pack, Fantastico, and Softaculous are all available as auto-installers and WinsHosting has even included a website builder in all their shared hosting packages. You’ll also have access to an email server with plenty of features like spam filtering, POP3/IMAP support, and a number of applications like RoundCube or Squirrelmail. CMS-specific hosting is available with a whole list of platforms like WordPress, Joomla, Drupal, and so on for a pre-setup solution. Their VPS plans are equally as feature-rich. They come with KVM or OpenVZ virtualization for Windows and Linux hosting, respectively. Customers get access to IPv4 and IPv6 support, backend security, and server monitoring as well as semi-managed services. DDoS protection is also provided for free. With almost all hosting packages, you get full administrative and root access. The great thing about WinsHosting is that with so much variety and so many pricing options, you can get pretty much exactly what you need — you won’t have to pay for resources you won’t be using. In addition, they provide beginner-friendly options with their CMS-specific hosting. WinsHosting features four shared hosting packages with annual or biennial billing periods, but nothing shorter. You don’t get a discount for the longer option, sadly. You can choose a plan with or without a domain. However, you’ll save on the domain as it only costs between $4 and $8 extra. The price includes a cPanel license and pretty generous resources. The same applies to their WordPress hosting, but these packages all include a domain in the price. You also won’t pay extra if you’re going for a Windows option. All their prices are very low by the standards of the international market. However, you’ll pay quite a bit more if you pay your bills in Dollars than in Rupees. Only WinsHosting’s shared hosting products are backed by a 30-day refund policy. However, you’ll need to provide a good justification for the cancellation and refund. WinsHosting provides 24/7 support services with all of their products. You can also add on premium support to your dedicated server plans. Semi-managed services come for free with their VPS plans. You can contact support via Pakistani phone lines, email, or tickets. However, for most queries you’ll be deferred to the ticketing system if it’s going to take a long time to resolve. Unfortunately, their knowledge base is still completely empty for the time being. It’s hard to argue against WinsHosting as being probably one of the best value-for-money hosting providers in Pakistan. The quality of their infrastructure, generous amount of resources offered, and the plentitude of features make them almost impossible to beat. Wondering how WinsHosting stacks up against other Web Hosting companies? Enter any other Web Hosting company and we will give you a side-by-side comparison.